When you’re ready to transform your home in Central PA with a breathtaking new sunroom, come visit us at the Four Seasons Sunrooms showroom in Lancaster, PA. Our Four Seasons Sunroom location in Lancaster can be found inside the Patio Shop at Stauffers of Kissel Hill. The address is 301 Rohrerstown Road, Lancaster, PA 17603. 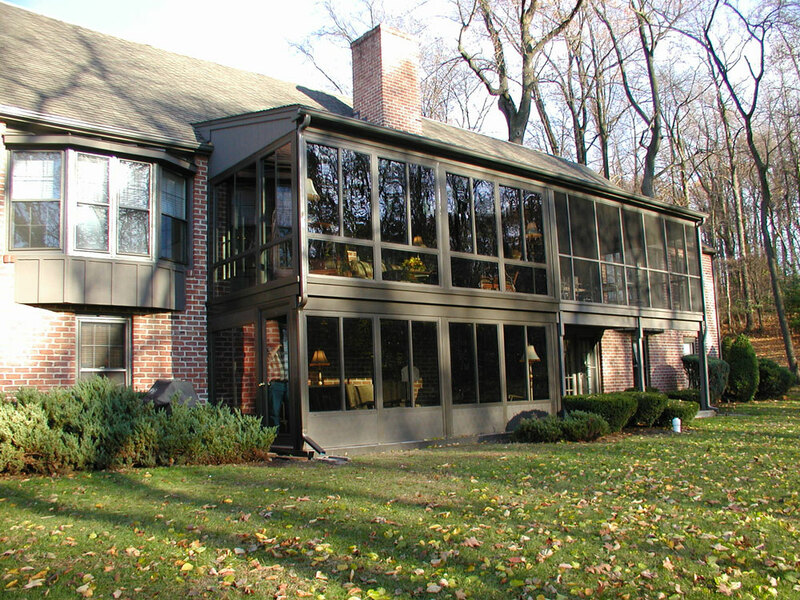 The sooner you get here, the sooner you can experience all the amazing possibilities our sunrooms can provide! Monday – Tuesday: 9 a.m. to 5 p.m.
Wednesday – Saturday: 10 a.m. to 5 p.m.
Let a member of our friendly and enthusiastic staff show you some of our Four Seasons Sunrooms products and give you an idea of the kinds of sunrooms and solaria we can add to your home. Should I Visit the Lancaster Sunroom Design Center? A visit to the Four Seasons Sunrooms and Windows Lancaster showroom is a great way to get started on your journey to adding a sunroom in Lancaster. One of the great things about our sunrooms is that you have a seemingly unlimited number of choices when it comes to your type of room, options, features, materials, and styles. 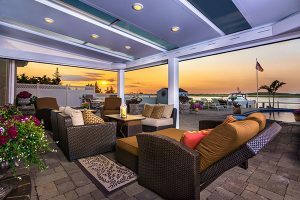 Our knowledgeable experts can help you narrow down the options to fit your lifestyle when you are interested in adding a sunroom to your home in Lancaster. You can look at samples and see what feels right to you. You can also describe your home to our friendly and helpful staff and get feedback on what the best sunroom plan is for its structural architecture. You can get an up-close look at all of our products, learn all about the almost magical properties of CONSERVAGLASS SELECT™ energy-efficient glass and more. We can’t wait to show you all the possibilities! After you’ve taken a guided tour around the showroom with one of our experts and you get an idea of what you want in a sunroom, we can schedule an in-home visit on the spot. A Four Seasons Sunroom professional will come to you, generate a plan for your sunroom and provide you with an estimate on the project — all completely free. From there, it’s just a short step to you and your family enjoying your brand-new sunroom! Drop by Our Lancaster Sunroom Showroom Anytime! Come over and visit us during business hours to have a look around. 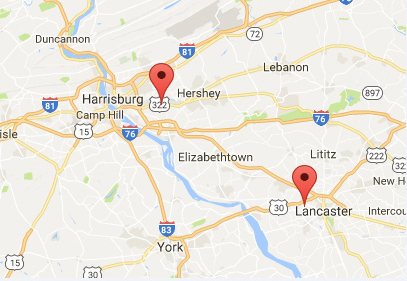 If you’d like to call us first for directions or questions, by all means — drop a line at 717-390-2727. Enjoy the tasty, fresh foods of Stauffers of Kissel Hill during your visit and make it a whole day affair by visiting some popular local activities, like visiting The Amish Farm and House or touring President James Buchanan’s Wheatland, the home where he resided after retiring from the presidency. There’s a lot you can read about our fabulous Four Seasons Sunrooms when you are thinking about adding a sunroom to your house in Lancaster, but for true inspiration, we hope you’ll come down and see it all for yourself: both the passion of our gifted and enthusiastic sales people and the beauty of our sunrooms. Feel free to give us a call at 717-564-2244 or stop by next chance you get!